These Frequently Asked Questions (FAQs) are designed to answer the questions of those who travel occasionally. This section includes some general tips – most of which are pre-travel planning tips that can be used regardless of how you are traveling or why you are traveling. If you need special attention or assistance while traveling contact your carrier – airline, cruise line, Amtrak or Greyhound – ahead of time to make the appropriate arrangements. Most carriers have special web pages to assist those travelers with special needs. Make others aware of your itinerary — both your travel companions and your family back home. The information can be critical to reach you in case of an emergency. The most important tip: Develop a plan to avoid a crisis while traveling. This is a list of ideas from experienced travelers designed to help the occasional traveler avoid becoming a stranded traveler. Travelers Aid maintains information booths in 16 U.S. airports and 4 North American railroad stations. Use the map on our home page to find an airport or train station you will be passing through on your travels. 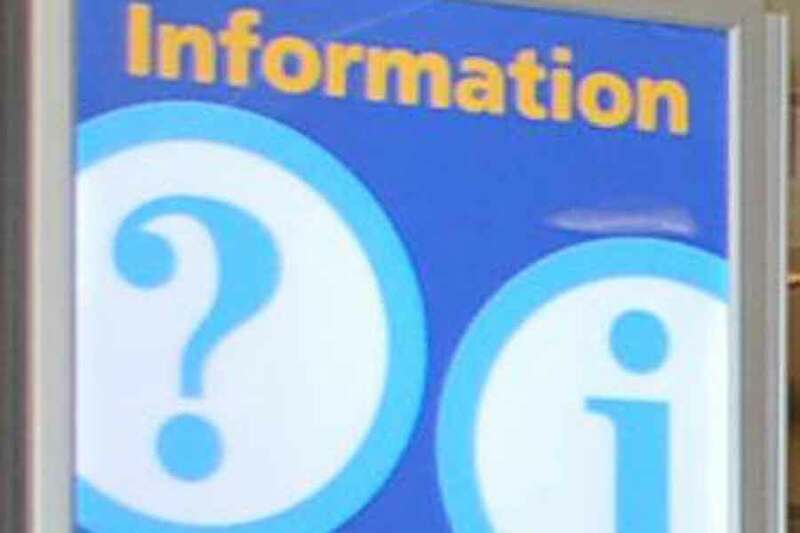 The information box for each location lists the hours of service, a phone number and the travel assistance services provided at that airport. If you anticipate a potential challenge during your trip, contact our volunteers ahead of time to make arrangements. Give yourself plenty of time to reach the airport, train station, port or bus depot. It is better to go through an unfamiliar setting and check-in process at a relaxed pace rather than be rushed and extra stressed. These general ideas are followed by specific tips for flying, traveling by rail or going on a cruise. Adults over 18 must show a photo ID while traveling within the U.S. on a public carrier. A passport or passport card is needed to travel internationally. To travel to Canada and Mexico, a passport is now needed. Some foreign destinations also require a travel visa. Allow plenty of time to obtain your proper travel documents, especially if this will be your first international trip. Call your bank and credit cards to alert them where you are traveling so they don’t put a hold on your account – a hold is a sometimes automatic procedure used to protect you in case your card is stolen. Make copies of all your travel documents, including reservations, passport and driver’s license – carry at least one copy with you and leave one at home with a trusted friend. Regardless of how you are traveling – plane, train or boat – contact your carrier to learn their specific luggage restrictions on weight and number of pieces. It is suggested that you pack your large suitcases in layers to make it easier for security screening. If you lock your suitcase, you should use a TSA-approved lock. Once packed take photos of your luggage inside and out in case it gets lost. Use luggage tags with you name, destination address and cell phone. Put complete contact information on the inside of your luggage. Don’t pack extra cash, expensive jewelry, cameras or computers in luggage that will be stowed. Carry all valuables with you. Pack your medications in your carry-on or your purse. Although not required, it is a good idea to travel with your prescriptions in their original containers. This information is also useful should you have a medical emergency while traveling. And, don’t carry wrapped gifts because they maybe unwrapped to be inspected.